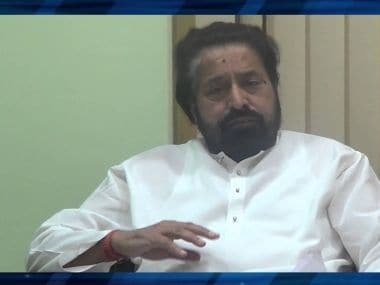 High drama unfolded on the streets of Kolkata on Tuesday after the Central Bureau of Investigation (CBI) arrested Trinamool Congress MP Sudip Bandyopadhyay in connection with the alleged Rose Valley chit fund scam. Members of the TMC also attacked the BJP headquarters in Kolkata and injured several BJP workers. "More than 10-15 workers of our party received severe injuries. Stones were hurled at cars parked outside. Is this democracy? A person who has looted public money has been arrested. So why are they protesting against our party office?" said BJP national secretary Rahul Sinha told PTI on Tuesday. 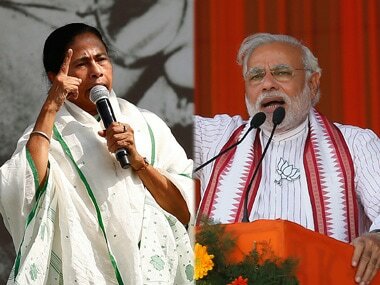 Meanwhile, West Bengal Chief Minister Mamata Banerjee cried political vendetta and in a Facebook post she wrote, "It is all because of our fight against #NoteBandi. We are and will be with the people. Nothing can stop us from being with the people and we will continue with our protest against #NoteBandi." A CBI statement said Bandyopadhyay has been charged under IPC sections 420 (cheating), 408 (criminal breach of trust), 120b (criminal conspiracy) and 34 (common intention) and various sections of Prize, Chits and Money Circulation (Banning) Act of 1978. Earlier, CBI had arrested another TMC MP Tapas Pal in connection with the same case and kept him in remand for three days. 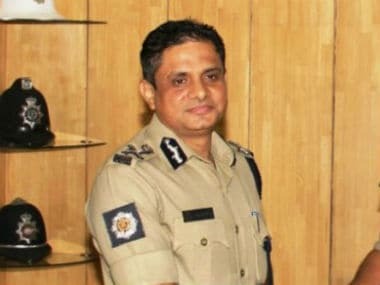 Bandyopadhyay was brought to Bhubaneswar and sources in the CBI told PTI that the TMC MP would be first sent to the Capital Hospital for medical examination before being produced in the CBI-designated court. 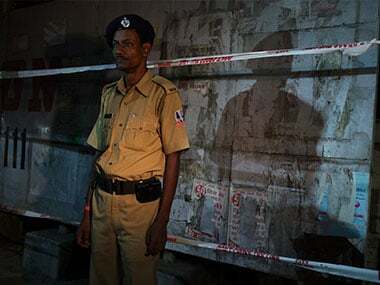 The investigating agency would seek remand of Bandyopadhyay as the TMC leader was not allegedly cooperating with the investigation. Sources also said that the CBI was planning to interrogate both Bandyopadhyay and Pal together as both have been arrested on charges of their alleged involvement in the Rs 17,000-crore scam. The Rose Valley Group has been accused of duping investors of about Rs 17,000 crores in different states. The case is being investigated both by the CBI and the Enforcement Directorate (ED). While Pal was one of the directors of the group, Bandyopadhyay is accused of being a promoter of the ponzi firm. According to News 18, Rose Valley group owns nearly 23 properties across India and was the business empire was started by Kajal Kundu. After Kajal and his family were killed in a car accident, Gautam Kundu took over the reins of the company. Gautam was arrested by ED in March 2015. The report added that it was only in 2012 that the company ran into trouble after the IRDAI raised objections. As per The Hindu, the company had "violated RBI guidelines other related financial fraud control acts." The Indian Express reported that Rose Valley had floated a holiday membership plan and apart from Bandyopadhyay, Pal, Chief Ministers of Odisha and Tripura, Naveen Patnaik and Manik Sarkar respectively and BJP MP Babul Supriyo have been linked to the case. The investors were given the choice of opting for a holiday package or "a return on the investment with annualised interest". The report further stated Sebi found out that the company collected over Rs 10,000 crore without following due procedures. Moreover, a case was registered against the company by Assam police, for alleged earning Rs 1,006 crore through the scheme until February 2012. TMC workers on Wednesday took to the streets in various parts of West Bengal to protest arrest of Bandyopadhyay and staged demonstration in front of Union minister Babul Supriyo's house demanding his arrest. The BJP, meanwhile, urged state governor K N Tripathi to send a report to the Centre demanding imposition of President's Rule in view of "growing lawlessness" in the state. TMC activists staged protest in front of the housing society where Supriyo's house is located, demanded his arrest and resorted to rail blockade at some places. Supriyo said the TMC activists burnt BJP flag in front of the society and questioned the role of the police. "My parents and other residents are scared. Let Didi (Mamata Banerjee) give proof of my involvement in the Rose Valley scam, I will be arrested", he said. The TMC also took out processions at various places and organised rail blockade at Kankurgachi here and staged protest in front of the CBI office here. A TMC delegation led by party secretary general Partha Chatterjee also met the governor and complained of "political vendetta" by the Centre against TMC which is opposing demonetisation. He also demanded that CBI arrest Supriyo in connection with Rose Valley chit fund scam. 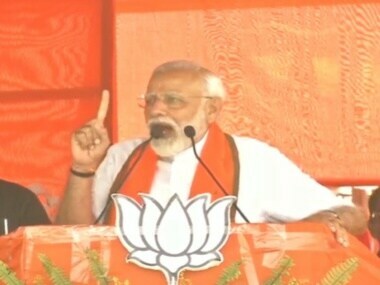 "They (BJP)cannot stop TMC by conspiring and arresting our leaders" he said.